The methodology of MovNat® is essential meant to be "natural movement rehabilitation" for everyone, as we are all essentially in the same boat in terms of movement deficiency. However, it can also be used as a corrective measure to help heal and restore function to parts of the body that have suffered damage from injury, repetitive strain, invasive medical procedures, etc. 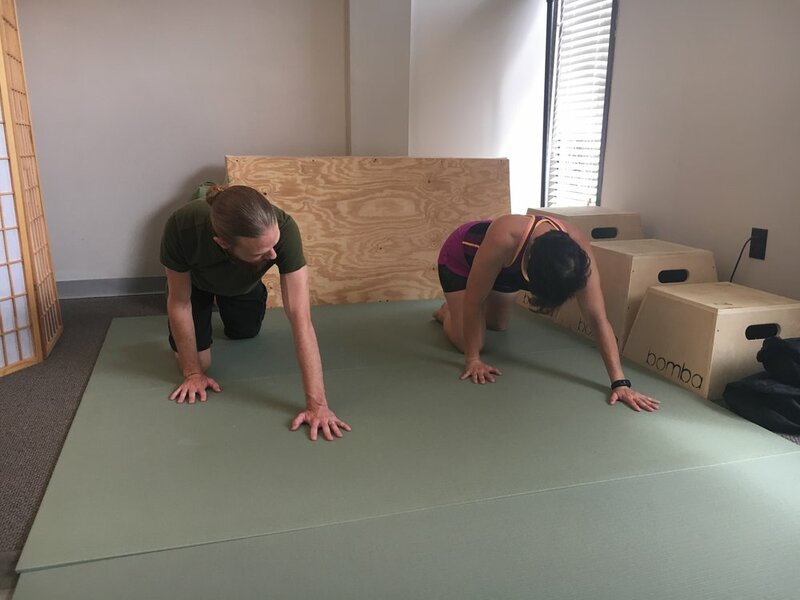 The reason that natural movement training has such varied applications is simple: the human body is designed/adapted for the categories of movements that we utilize. In case of damage to the body or chronic pain patterns, working with natural movements requires added awareness of the process the body is undergoing. 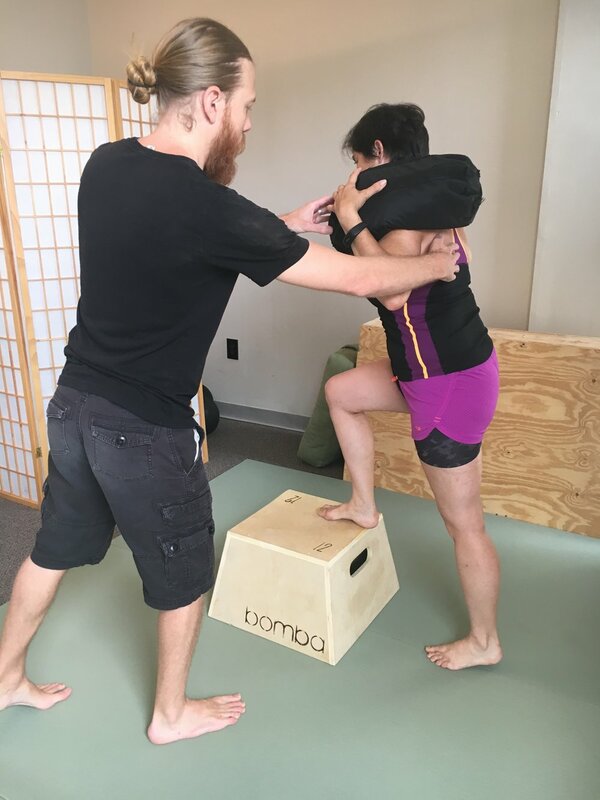 As a Certified Rolfing® Structural Integration practitioner, practicing full time in Birmingham since 2005, my career requires me to make a life study of the function of the human body in terms of alignment of body structure, myo-fascial patterning, and movement patterns. This experience as a structural bodyworker partly informs how I utilize the methodology of MovNat. 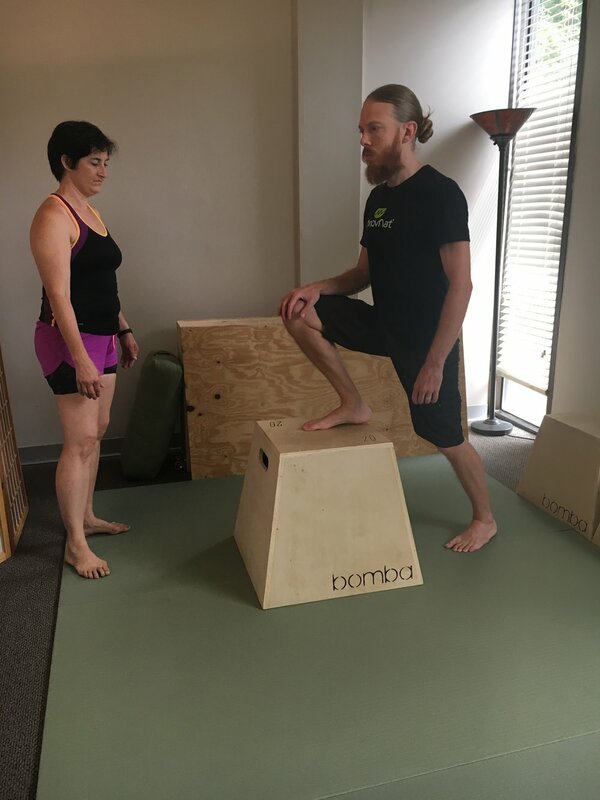 It is my goal to help unpack the rehabilitation potential of training the body with natural movements, not only in the general sense but with specific issues. 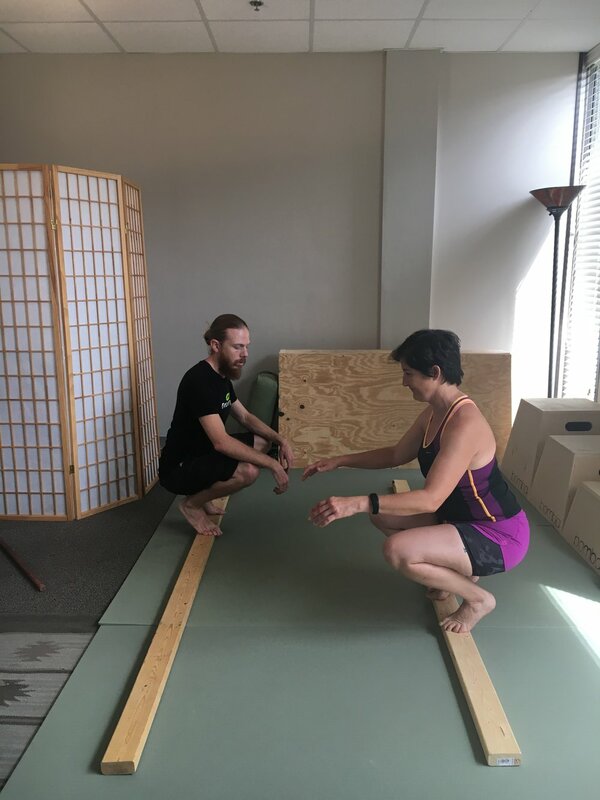 I see this as being able to not only offer a client something to help heal a specific issue or optimize structural health, but also a long-term lifestyle solution to creating a body much more physically capable and significantly more resistant and resilient to injury. Listed below are the categories of movement we use when training the body with natural movements. Most often, however, it is Ground Movements, Crawling, Balancing, Walking, and lighter forms of Hanging that are most often utilized. It is important to note that these movements are prescribed in a way that is completely relative to a person's individual needs, may they be specifically for rehabilitation or for general fitness. Movements in all categories can be broken down and deconstructed into smaller skills.